Learn Hebrew Vocab with Noyo | Mac App Storeのアプリ検索・ランキング BuzzMac! 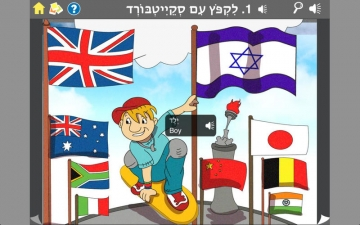 Noyo language-learning apps combine high-quality native speaker audio, gorgeous custom-illustrated scenes, written translations, and built-in assessment to lock in new vocabulary. 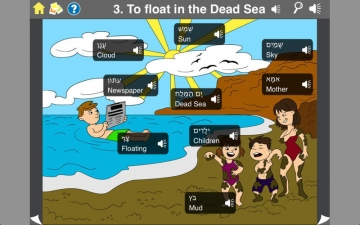 With Noyo Hebrew, you'll visit an aquarium full of funny-looking fish to learn personal adjectives, celebrate a Bar Mitzvah, and swim in the Dead Sea! The ultra-short-throw BrightLink 595Wi is the world's first 3LCD, touch-enabled interactive projector is a perfect match with Noyo language learning apps. Noyo is the brainchild of a Spanish teacher and a educational technology entrepreneur, so we work hard to make useful classroom tools. 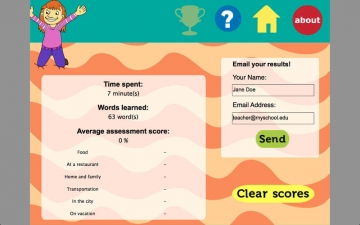 Vocabulary is grouped into thematic units to make it easier to incorporate Noyo into your curriculum, and our stats page makes it easy for students to email you concrete performance data such as time spent on the app, number of words listened to, and mean assessment score. Email us or visit our website for more information on how to use Noyo in the classroom.